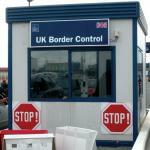 France in London | 'Passport, please': Border control to be reinstated in Europe? 'Passport, please': Border control to be reinstated in Europe? With the situation in North Africa reaching fever-pitch, and the flow of immigrants increasing daily- EU governments are planning to reimpose border controls in an attempt to halt the flow. 16 years after the Schengen agreement was signed, could this be the end of unrestricted movement on the continent, and what will this mean for Europe? So, what is the Schengen agreement ? Schengen is the name of the town in Luxembourg, where an agreement authorizing free movement across borders for people and goods was signed in 1985. Initially, 5 countries adopted this agreement and its rules : Germany, France, Luxembourg, Belgium and the Netherlands. But they were progressively joined by other countries, up to 25 members (all but three of them are members of the European Union). At the time, the agreement, supplemented by the Convention implementing the Schengen Agreement in 1990, was considered as the biggest achievement for a united and integrated Europe. Why would it be suspended ? Since the Arab Spring, both France and Italy have denounced the massive flow of migrants (estimated to be about 30,000) arriving from North Africa to the Italian island of Lampedusa. Thus, they have asked the EU to restore temporary internal borders between European countries in an attempt to curb immigration. The issue of immigrants has been the cause of tension between France and Italy, as Rome granted the migrants - many of them French speakers - temporary residence permits, which enabled them to enter France legally. To put an end to this problematic situation, French President Nicolas Sarkozy and Italian Prime Minister Silvio Berlusconi officially called for a revision of Schengen during a European summit which was held yesterday. 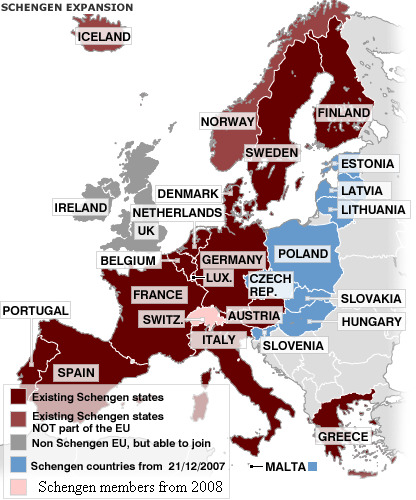 The European Commission then suggested the Schengen system be revised, which would allow the 25 participating governments to restore border controls. All these plans could be approved at a European summit next month. A blow to freedom of movement ? Denmark took similar measures before the European decision and it has already reintroduced border controls at its ports and airports, as well as its land border with Germany and its bridge to Sweden for a few days. European countries also agreed to combat immigration by pressing for "readmission accords" with countries in the Middle East and north Africa to send refugees back to where they came from. 15 governments supported the move, with only four opposing it, according to officials and diplomats present. This policy shift is expected to change the life of millions of European citizens, as all of them have been used to unfettered travel across the continent, whether they were crossing borders for business, for tourism, or for immigration reasons.